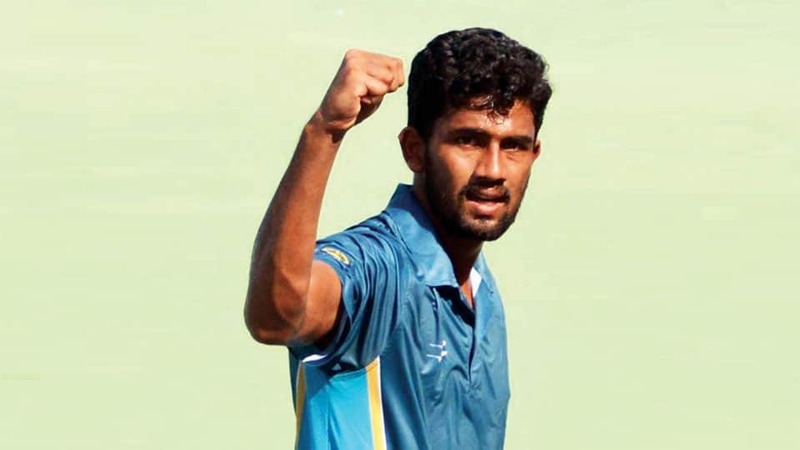 Suraj lost the semi-final match to fourth seeded Arjun Kadhe 6-3, 3-6, 6-1 in $25,000 ITF Men’s Tennis Tournament. In first round, Suraj beat Franco Feitt (Arg) 6-7 (4), 6-0, 6-3 and beat Kento Takeuchi (Jpn) 5-7, 6-3, 5-3 (retd) in pre-quarterfinals. In the quarter-finals, Suraj playing some excellent tennis shocked the top-seed Youssef Hossam of Egypt 7-6 (8), 6-3 in the quarter-finals and progressed further. The 23-year-old Suraj, a product of the Mysore Tennis Club, Mysuru, is presently training at the Harvest Tennis Academy, Jassowal. He is being trained by Serbian coach Milos Pavlovic. Earlier Suraj had finished runner-up in the Men’s Singles event in the Fenesta National Tennis Championship at Delhi. Suraj also took part in the Bangalore Open and gained valuable exposure. Suraj entered the quarter-finals in the F4 Futures 15,000$ Tennis Tournament in Trivandrum and had good performances in the previous three legs of the ITF circuit in India. Suraj, encouraged by his parents Prabodh and Renuka, took up the game at an early age and has been making steady progress in this sport and has of late improved on his fitness levels and has been playing consistently in the higher level. Suraj has a neat game and has a wide range of shots both on his forehand and backhand and is a more confident player now. Suraj, presently with an ATP ranking of 1147 in Singles, aims to work hard and improve on his rankings and perform well in the ITF men’s circuit in the days to come.